The grape harvest season has started here in North Carolina, which beckons me to make more frequent trips to my favorite vineyards. 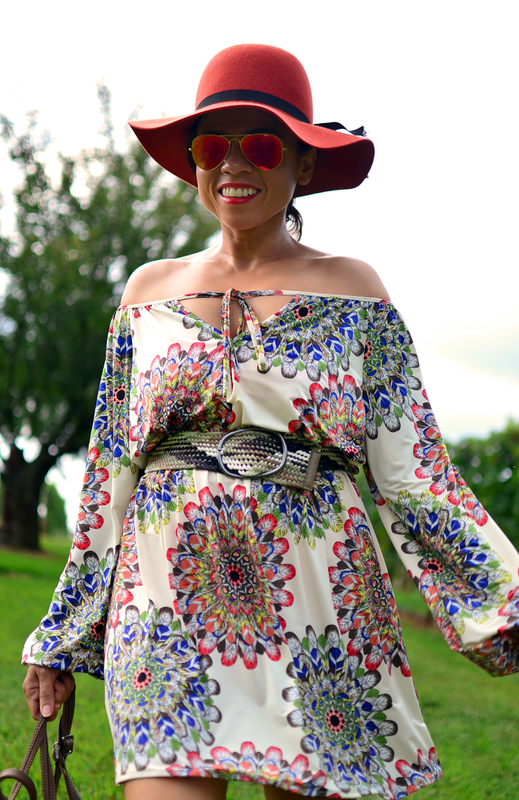 If you've been following me for a while, you probably noticed that when I go to vineyards I tend to wear bohemian inspired looks accompanied with a large brim hat. Yesterday wasn't the exception, I wore a light-weight jersey dress with summery brogues and my warm colored hat. La temporada de cosecha de uvas ha comenzado aquí en Carolina del Norte y es cuando me encanta frecuentar mis viñeros favoritos. Si me has estado siguiendo por un tiempo, te habrás dado cuenta de que cuando voy a viñedos tiendo a ponerme conjuntos bohemios acompañados con sombreros de ala ancha. Ayer no fue la excepción, me puse un vestido de jersey ligero con mocasines veraniegos y un sombrero de color cálido. The weather was really hot, but at the end of the day, the wind started picking up then followed by a refreshing rain. 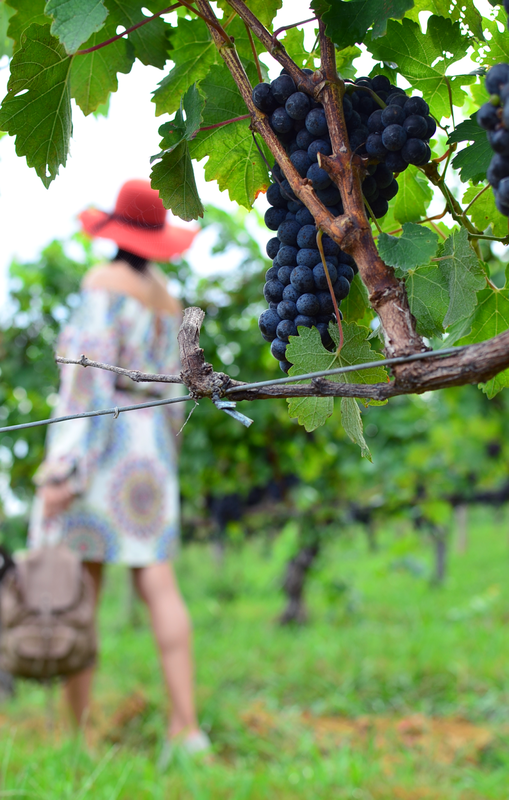 Photos were taken at Shelton's Vineyards in North Carolina. Thanks Natalia!! You just made me laugh so hard. Funny you! What a gorgeous dress. 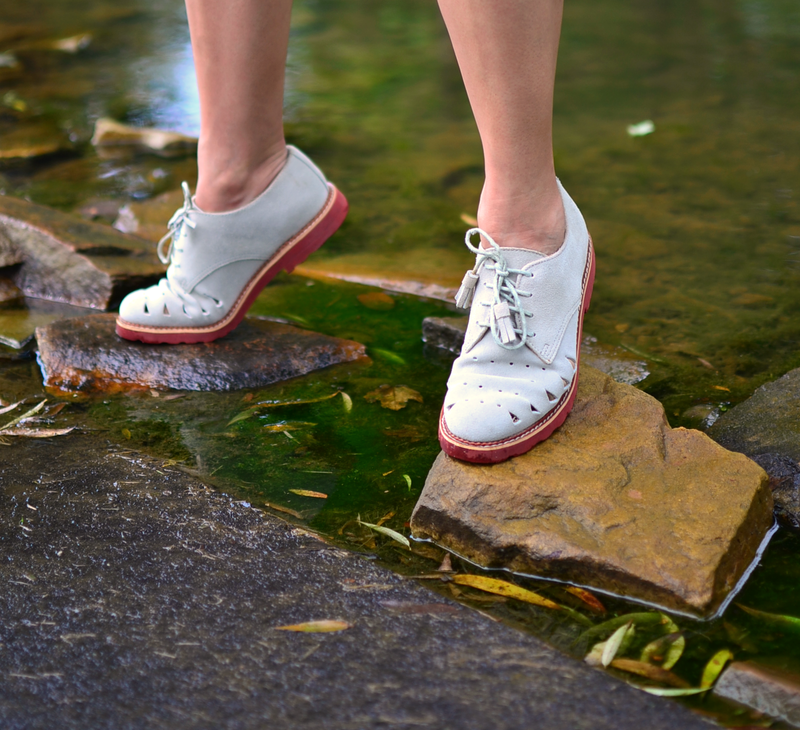 My favourite are those brogues though. Thanks Suzanne! The shoes are my favorite part as well.